Get Free Sample of Berry Glitter Eyeshadow. All you have to do is “like” their Facebook page, fill request form & click "finalize" to place a free order. 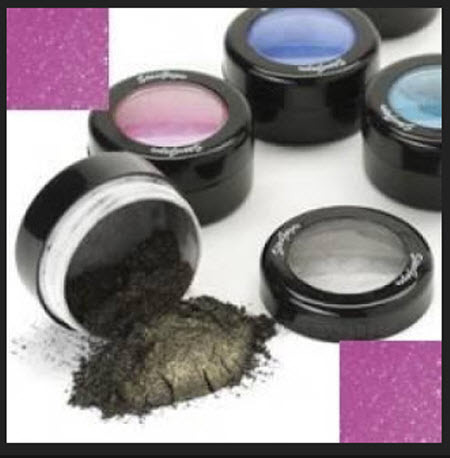 Make-Up glitter powders are the finest glitters powders available. They are truly like fairy dust! Most of All That Glitters Make-Up glitter powders are synthetic, although 12 of our glitter colors are 100% mineral glitter eye shadow. For a more intense application, apply "The Fix" as a glitter base adhesive. These versatile powders can be used on face, eyes, lips, hair, etc.